I visited this newly open restaurant in Paradigm Mall located at lower ground just opposite Tesco. 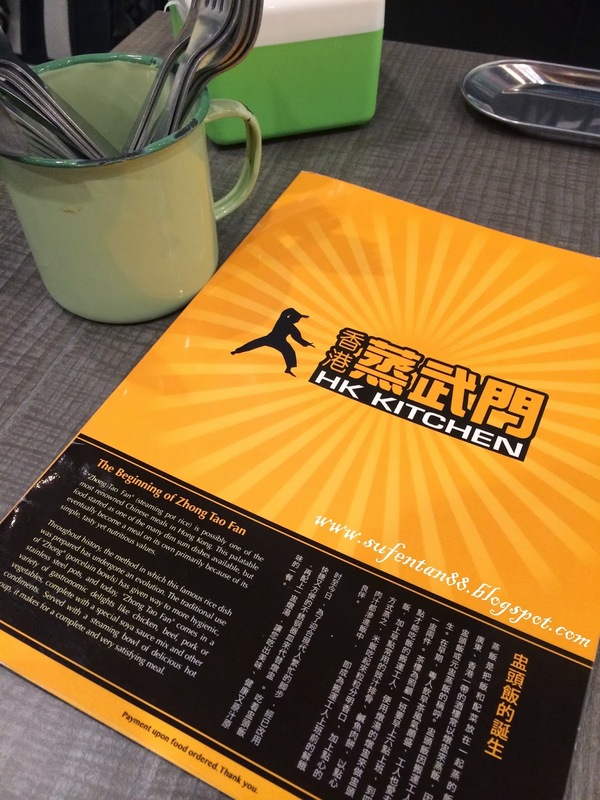 It is a Hong Kong concept of restaurant serving steaming pot rice which they called it " Zhong Tao Fan". This "Zhong Tao Fan" comes in variety of gastronomic delights like chicken, beef, pork or vegetables, completed with special soya sauce mix and other condiments. 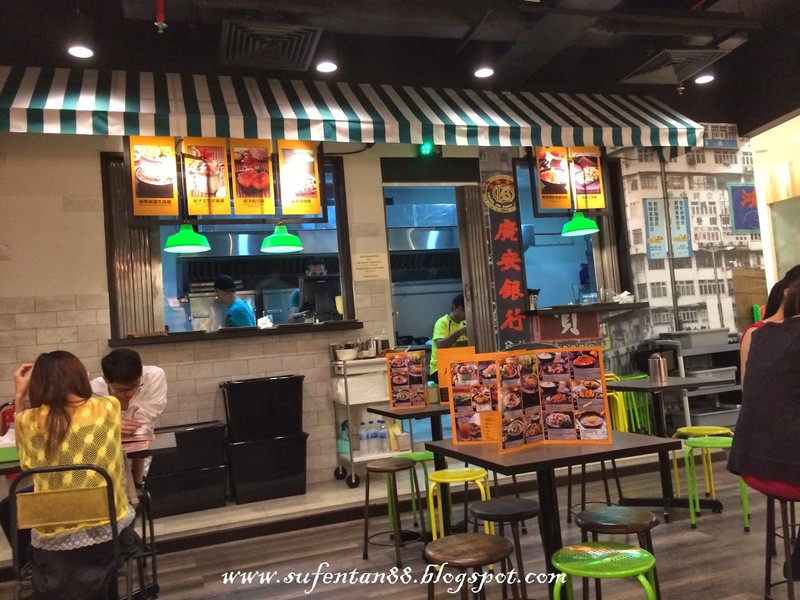 As we know Hong Kong food is quite famous to Malaysian however this type of dining concept a bit different. The set up of the overall restaurant is like those olden days where your great grandparent eating at the road side in Hong Kong. The menu is quite simple, three pages showcase all the dishes available. There aren't many choices to choose from. Their main highlight is their steamed rice in stainless steel pot. I also found out that all the workers are foreigners including the cook, not sure is it a good idea. Anyway, they will give you the bill to pay first once ordered before your meal is served. I personally do not like the presentation of this dish, although it taste like mom's home cook food but the presentation makes the overall feel inferior. Sorry for that... Overall taste was not bad except their own highlight- steamed rice is hard. I guess they got the wrong water measurement. 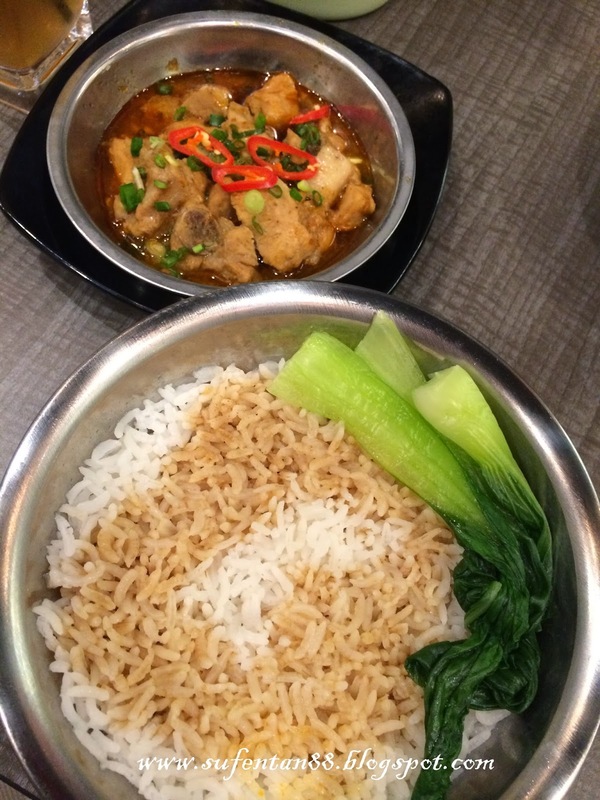 Pork ribs taste quite good but again their steamed rice is hard. Everything has been pre-prepared as the meal was served within minutes. They need to improve on their steamed rice. Overall the food is not bad but for that kind of price, many more restaurants in Paradigm Mall can defeat them easily. If you like to get an dining experience of this place, try it out. If not, forget it.